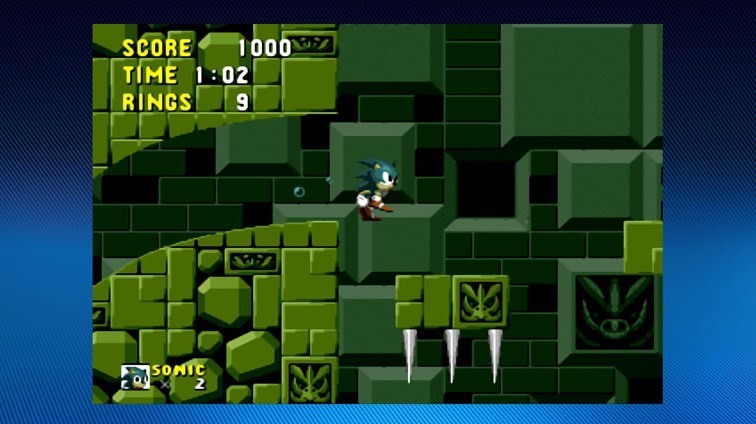 Who would have thought this seemingly innocent blue hedgehog would have been one of the main reasons I found myself eventually becoming a gaming freelance journalist. 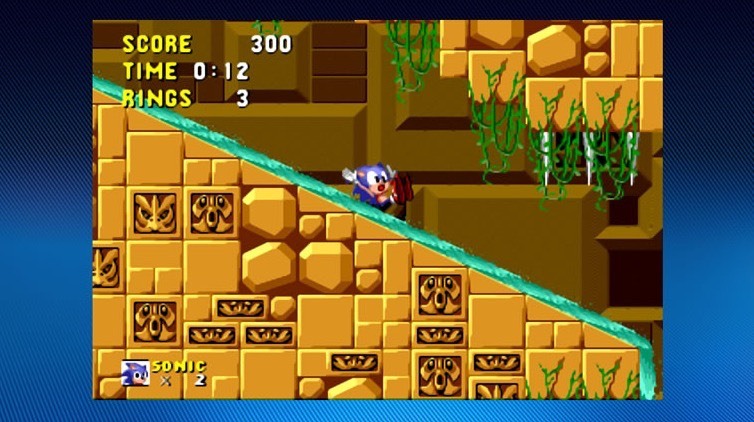 In 1991, Sonic the Hedgehog released on the SEGA Megadrive (Genesis) console. 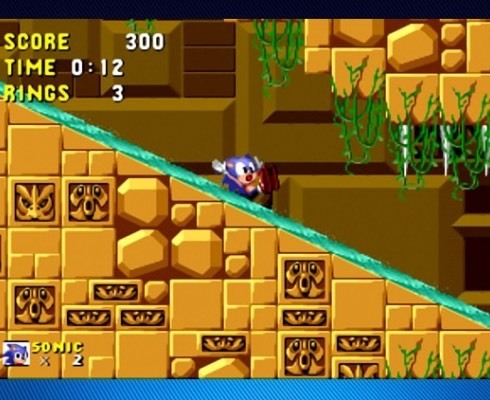 For the time, 2D platformers were quite slow and we were still living in the era before the Super Nintendo (SNES). 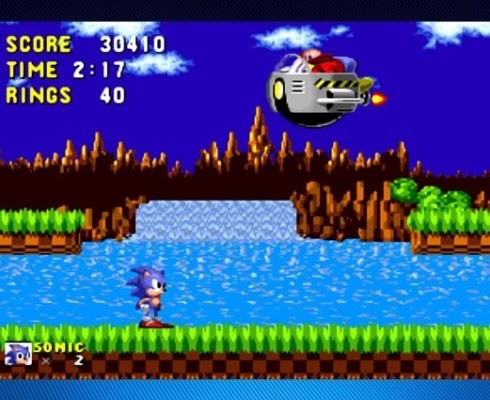 Sonic darted onto the scene with amazing colours, incredible backdrops, superb music and insane speed that started the catalyst for a whole slew of related titles (good and bad) for many systems still to this day. Now our spikey friend has returned onto the Microsoft Xbox 360 console and will no doubt bring many more smiles than the abysmal affair the so called next generation Sonic game (on the same console), which will go down in gaming history as pure and utter rubbish. 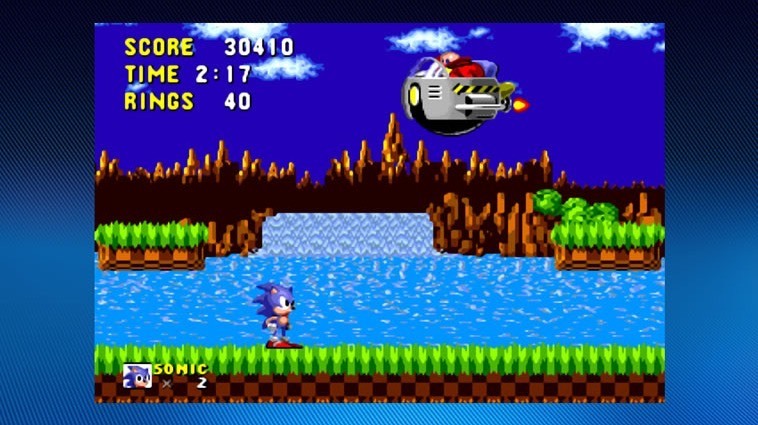 With a good selection of achievements added, saved game support, graphic filters available to improve the quality of the graphics for those of us with high definition screens and accurate emulation, the very first Sonic the Hedgehog is proudly presented again. 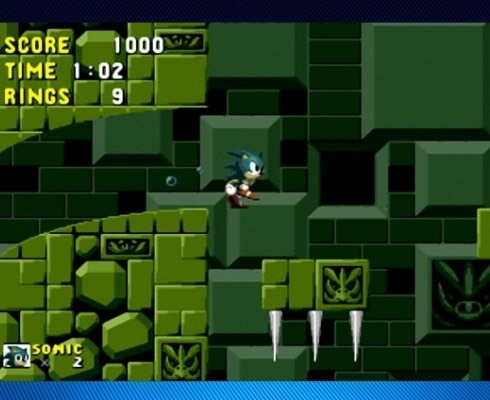 Although running, jumping and spinning through certain walls isn’t the most comprehensive set of manoeuvers you will ever find in a game, Sonic’s speed will ensure this simplicity is rewarded. Doctor Eggman (most of you in the United Kingdom will remember him as Doctor Robotnik) is the only other character you will notice in this title along with Sonic and it is this foe you must defeat in a series of boss battles and one final triumphant smash near completion. If his moustache isn’t enough to scare you, his mad assortment of vehicles at his disposal will. Collecting rings remains timeless for me and if you are clever enough to hold at least one ring, you will never lose a life unless you fall down off the screen. No health bar, just make sure your ring stash is plentiful and you will succeed in time. Enemy robots imprisoning the native wildlife are defeated by a quick jump and timely drop on their head to release the animals inside and special stages are unlocked by securing 50 rings or over as you pass the finish marker on most of the levels. Here you can collect chaos emeralds if you want to go that extra mile and unlock every last achievement and view an extended ending. Sonic the Hedgehog may be from a now aging heritage, but amazingly he still looks as good as ever with only a few signs of wrinkles. Original Doom – On Xbox Live Arcade Now!